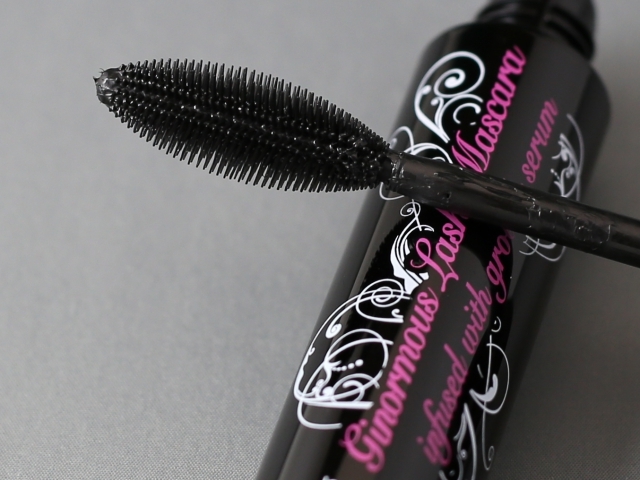 Hard Candy Ginormous Lash Mascara Plus Lash Boosting Serum - $6.98 - offers lashes that are up to 200% thicker with a unique lash boosting serum and a long, thick-bristled brush that fluidly coats lashes with buildable volume. With regular use, lashes become longer, fuller and stronger. It's recommended that for optimal volume, length and lift to use the wand to curl up and out while positioned horizontally and wiggling from side to side, base to tip. I don't even know what the hell that means and when I tried to do it I ended up looking like Petey, the Little Rascals dog - so I just slapped a couple of coats on the way I usually do and got great results in a much less complicated way!